Displaced adolescent girls and women face many challenges managing their monthly menstrual flow with dignityand comfort in various challenging settings around the world, such as refugee camps, informal settlements, andwhile in transit across geographies as they flee disaster or conflict. Menstrual hygiene management requires easy access to safe, private water and sanitation facilities, along with appropriate menstrual materials and supplies, discreet disposal and waste management, and basic information on menstrual hygiene for displacement contexts. Yet, a significant gap exists in terms of available guidance on effective, coordinated multi-sectoral approaches for a complete menstrual hygiene management response. 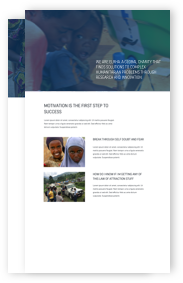 This paper describes one effort to address this gap, the development and pilot testing of the Menstrual Hygiene Management in Emergencies Toolkit in three camps hosting Burundian and Congolese refugees in Northwest Tanzania. Multiple methods were used to evaluate the implementation of the toolkit,which included a process and end line evaluation. Key findings included the identification of content gaps in the draft toolkit, the mapping out of a training and capacity building approaches needed for integrating menstrual hygiene management into ongoing programming, the relevancy and appropriateness of the guidance prescribed, and the potential for novel approaches to be identified by both water, sanitation and hygiene (WASH) and non-WASH sector actors subsequent to sufficient training. Important lessons from this exercise may be useful for the introduction of MHMprogramming into future global humanitarian response efforts.